According to the first information, the new Dacia MPV will be called Popster and has a code-name J92. 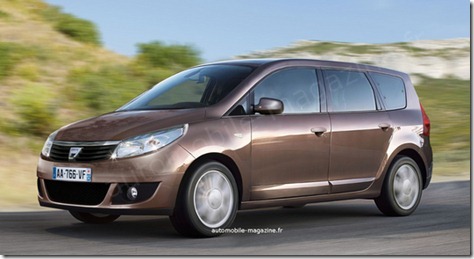 The Dacia J92 is a seven-seater MPV, expected to be launched in 2012 and that will have an attractive price. Besides the low price, the model will also benefit from a generous interior space, bigger than most available models in this segment. Some voices suggest a starting price of 13,000 euros for the petrol version while the diesel version will have a starting price estimated at 15,000 euros. The production will take place in Morocco (because the Mioveni factory has already reached the maximum capacity) and the components will be taken from the X90 platform and other platforms of the Renault-Nissan Alliance. The future Dacia Popster is the Renault proposal for the emerging markets and promises to have a big influence in the seven-seater MPV market in Europe. According to some estimates, the model has a length of 4.5 meters and the seven seats could be offered as standard. If Dacia will offer this model at a price close to the values â€‹â€‹stated above, the Popster will be the cheapest seven-seater MPV in Europe, which should ensure its success in this market. 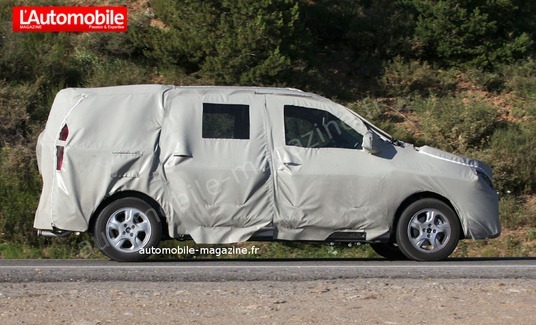 Very disappointed,cannot access any details of Dacia cars on this w/site. Am interested in purchasing 5-7 seater but has there been a launch in Ireland,as specified for May 2011?